· Approved a recommendation to the Synod Assembly that the proposed order of business and proposed rules of order be adopted. · Approved the recommended list of agencies and causes that may present their needs to Nebraska Synod congregations. · Approved appointments to the Assembly Minutes Committee and the Resolutions, Reference and Counsel Committee. · Approved a recommendation to the Synod Council that the 2016 audit be approved upon its receipt, conditional that the report is a clean report. · Reauthorized the Nebraska Synod’s authorized worshipping communities. · Reauthorized representative of congregations under development and synodically-authorized worshipping communities to serve as voting members of the 2017 Nebraska Synod Assembly. · Approved a recommendation to the Synod Assembly that the 2018 Compensation Guidelines be approved. · Approved changes to constitutions and bylaws for 38 congregations. · Granted voice and vote at Nebraska Synod Assemblies to Rev. Robert Schlismann of the Episcopal Diocese of Nebraska, while he serves as Pastor of St. Luke Lutheran Church in Stanton, Nebraska. · Approved a one-time addition to the continuing education fund for Bishop Brian Maas. · Approved an adjustment in compensation and benefits for Bishop Brian Maas. · Approved a transfer of existing designated funds to support the Mission Field Nebraska ministries for the year ended January 31, 2017. 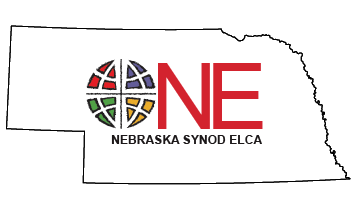 · Approved designation of the Nebraska Synod of the Evangelical Lutheran Church in America Endowment Fund and the transfer of all funds from the existing Nebraska Synod Endowment Fund and the Nebraska Synod Endowment Interest Fund into this fund. · Set Saturday, February 10, 2018 as the date for Nebraska Synod Clusters to gather for nominating meetings for the 2018 Bishop’s election and Saturday, February 24, 2018 as the alternative ‘snow date’. · Approved a motion to designate the 2017 Synod Assembly offering to go to the Mission Field Nebraska Fund, a change from the December 2016 motion offering designation.